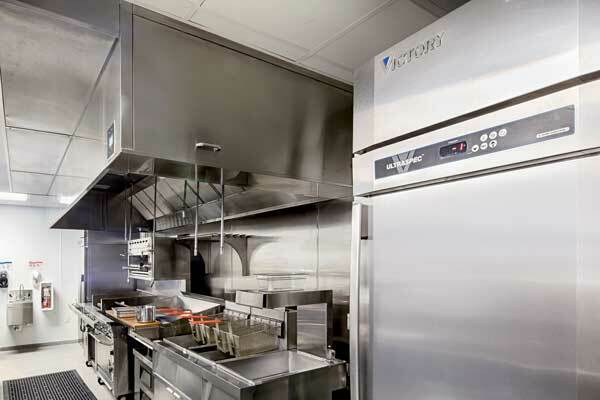 For over 65 years Victory has been a leading manufacturer of commercial foodservice refrigeration products. We are focused on providing our customers with unsurpassed value, superior customer service and the highest quality products available in the industry today. A continuous product development process ensures a steady stream of innovative, technologically advanced designs; which provide the ultimate in energy efficiency, food safety, storage flexibility, reliability and durability. Each Victory model is designed with essential standard features, while also offering a wide variety of options, accessories and modifications. Victory is specified and purchased for use in prisons, colleges, universities, hospitals, supermarkets, schools, and fine restaurants throughout the United States and around the world. In 1944, Ray Constantini and Tony DiAngelis, two sheet metal craftsmen, opened Victory to contribute to America’s war effort. Until the end of World War II, the Philadelphia-based company was a supplier of custom stainless steel products for the Philadelphia Naval Shipyard. The Victory name was chosen by its founders as a patriotic reference to the objective of the war. Even before the war was over, Victory had begun producing refrigeration equipment for the rapidly expanding foodservice industry and established a reputation as an innovator and industry leader by pioneering new technologies that led to superior refrigeration performance. In the following years, Victory’s original production output grew to become a sizeable manufacturing enterprise, prompting the company’s relocation from its small neighborhood shop to a larger site on the historic Delaware River. Victory later moved to a more modern 125,000-square-foot facility in Plymouth Meeting, PA, before settling in its current location — a 250,000-square-foot plant in Cherry Hill, NJ, just minutes from Philadelphia. 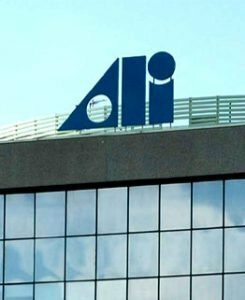 ALI SpA is an Italian corporation with its headquarters located in Cernusco s/N (Milan) – Italy. The company, through its subsidiaries, designs, manufactures, markets and services a broad line of commercial and institutional foodservice equipment used by major restaurant and hotel chains, independent restaurants, hospitals, schools, airports, correctional institutions, canteens, etc. The Group employs 7,125 people in 24 countries and, in terms of sales, is one of the worlds two largest groups in this industry. It has manufacturing facilities in Australia, Belgium, Canada, Estonia, Finland, France, Italy, New Zealand, Spain, Sweden, the Netherlands and the US, and sales and service subsidiaries in Europe, North America, Russia, Japan, China, the Middle East, Australia and New Zealand. The Group emphasizes the engineering and development of state-of-the-art equipment, to meet and anticipate the changing competitive market demands. The companies are decentralized and operate independently: each has achieved a high degree of specialization in its specific product lines and is generally regarded as a leader in its segment of the market. Group strategies and related functions, including investment and capital allocation decisions, are performed at corporate level. Victory strives to be an employer of choice by offering a safe and challenging work environment. We are committed to providing all employees with ongoing training, commensurate compensation and opportunities for promotion without regard to race, color, national origin, gender, age, veteran status or handicap. Currently, we do not have employment opportunities available in our Headquarters office. However, as positions become available they will be posted on this Web site. To learn how to apply for a position within our manufacturing plant or for a list of available plant positions, please call the corporate headquarters at 856-428-4200 and ask for Human Resources.